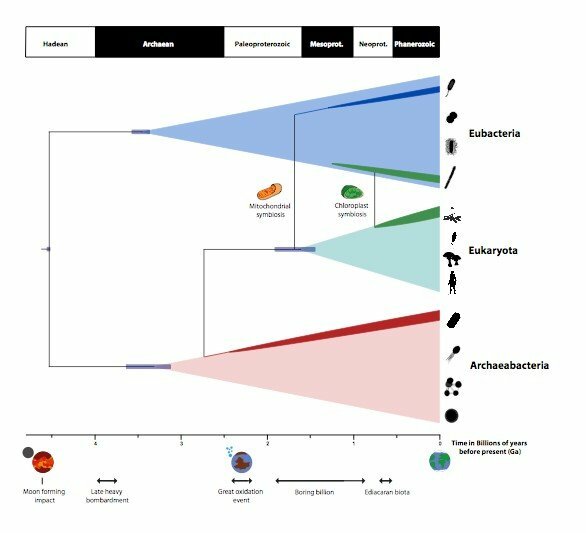 Co-author Professor Davide Pisani said: “Using this approach we were able to show that the Last Universal Common Ancestor all cellular life forms, ‘LUCA’, existed very early in Earth’s history, almost 4.5 Billion years ago—not long after Earth was impacted by the planet Theia, the event which sterilised Earth and led to the formation of the Moon. A team of researchers, led by the University of Bristol, has uncovered that ancient fossils, thought to be some of the world’s earliest examples of animal remains, could in fact belong to other groups such as algae. Rudimentary life may have existed on Earth 3.95 billion years ago, a time when our infant planet was being bombarded by comets and had hardly any oxygen, researchers said Wednesday.